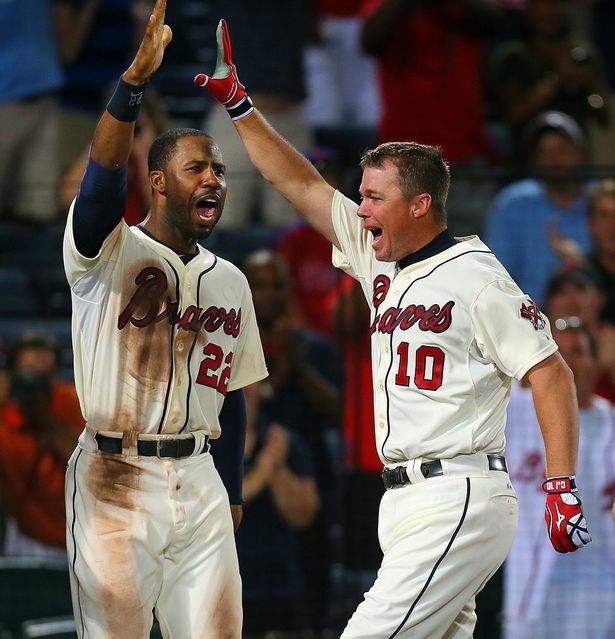 An Opinion On Sports: Chipper Jones: Not Another Like Him! Sunday evening, 40 year old Chipper Jones hit a dramatic walk-off 3-run homer in the bottom of the ninth to lift his Atlanta Braves to a pennant race needed 8-7 victory. Just hours before today's first pitch, the retiree-in-waiting had this to say: And when asked about putting the team on his 40-year-old back and delivering big hits they’ve lacked lately, he said: “I’d be lying if I said two outs bases loaded, bottom of the ninth inning I want anybody else up there but me. That’s just the mentality that I’ve always had. And that’s never going to stop. I don’t care if I’m 40 or 60. 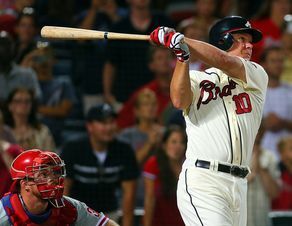 This is Chipper's last month as a regular season active baseball player. The only way we'll get to squeeze a little bit more out of his career is for the Braves to make the playoffs. And he just might be the man to do the squeezing for us.